US 104 was created in 1934 and ran from Niagara Falls, NY to US 11 north of Syracuse, NY. It never touched its parent route, and was decommissioned in the early 1970s, becoming NY 104. 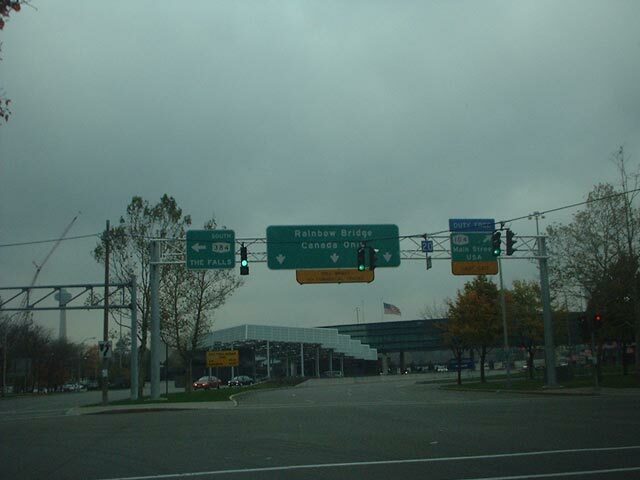 This is a view of the western terminus near the Rainbow Bridge in Niagara Falls, as seen from westbound Niagara St at the Rainbow Blvd intersection. Photo by Doug Kerr, taken November 10, 2001. 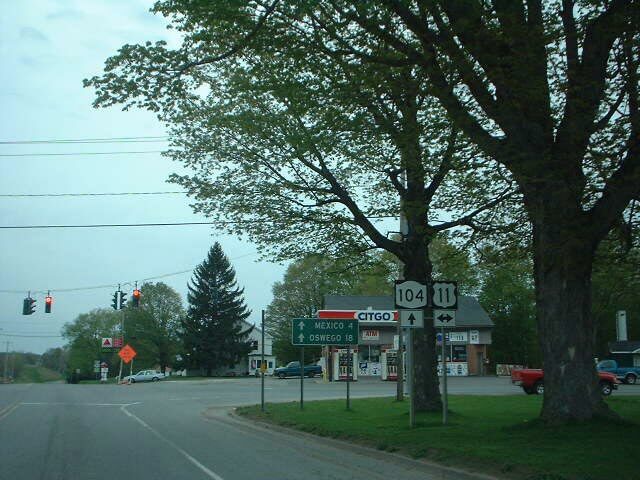 The east end of US 104 was at US 11 at Maple View, as seen here from what is today's westbound NY 104 at the intersection. Photo by Doug Kerr, taken May 8, 2002.